Want to discover the best of what New Zealands North Island has to offer? 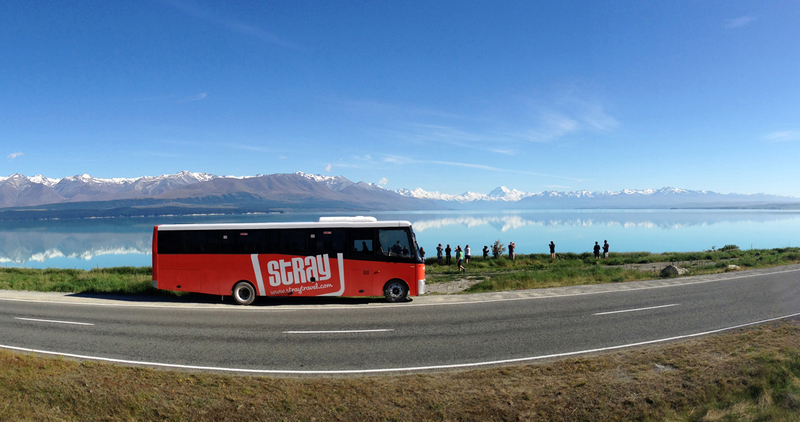 Well the Stray New Zealand Jonah Pass covers all the must see destinations…and more! Starting and finishing in Auckland you have up to 12 months to complete your circuit on this hop on, hop off bus pass – with a minimum travel time of 13 days, although we’d recommend at least 3 weeks to make the most of everywhere you stop! 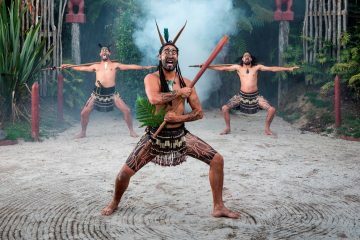 You’ll tick off all the must see destinations on New Zealands North Island – including Rotorua, Hot Water Beach, Taupo and The Bay of Islands as well as some lesser know (but equally awesome!) 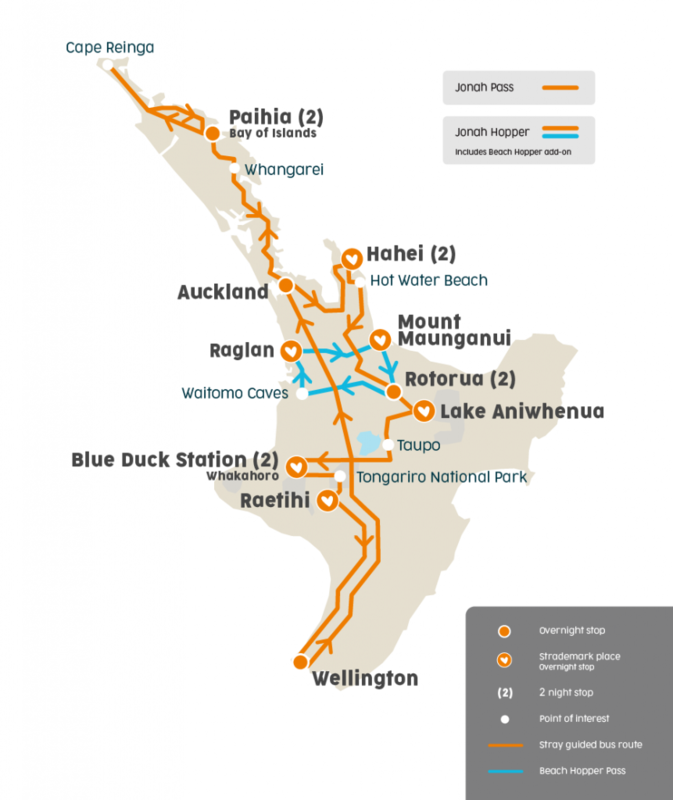 destinations like Raglan, Raetihi and Lake Aniwhenua. 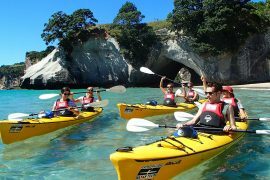 There are even some epic ‘Stademark’ stops along the way too – including the award winning Blue Duck Station and Hahei Beach – getting you more of the beaten track and discover some of the lesser known spots that New Zealand has to offer. 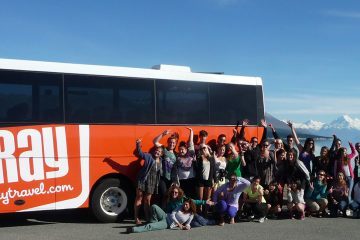 En route you’re awesome Stray New Zealand guide will give you the low down on each destination, heaps of Kiwi knowledge and help organise all your accommodation and activities too. 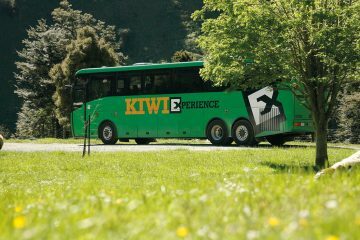 It’s the perfect way to travel around New Zealand, meet heaps of new travel buddies and enjoy everything that the North Island has to offer! Haere mai (welcome)! Your Stray adventure kicks off in New Zealand’s largest city, Auckland. We depart northbound for the relaxed seaside town of Paihia, gateway to the beautiful Bay of Islands. 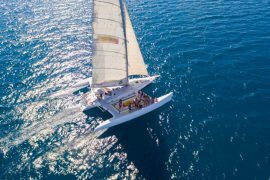 We stop en-route at the Parry Kauri Forest Park to hug some of the world’s mightiest trees, the native kauri, before cruising up to Paihia for a relaxing afternoon in the stunning Bay. NB: For those travelling up to Cape Reinga, remember to book this day trip in Stray Mate by 12pm the day before you intend to travel or speak to your Stray Driver Guide on the way to Paihia. The Cape Reinga day trip is operated by a local partner so pre-booking is essential. Stay at Hahei beach resort, an idyllic spot in the Coromandel, within walking distance to Cathedral Cove. 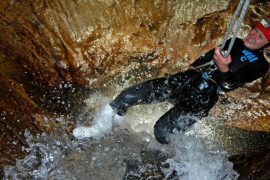 Overnight stay in Rotorua to experience (smell) the geothermal activity and do extreme white water rafting. Stop in at NZ’s largest lake – Lake Taupo (great for skydiving). Tongariro National Park (the ‘Lord of the Rings’ volcanoes and NZ’s best one day walk the ‘Tongariro Alpine Crossing’). 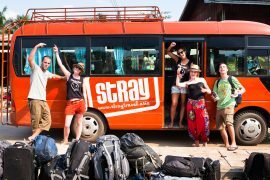 When purchasing Stray Hop-on Hop-off travel passes, Stray Journeys and Stray Adventures. Cancellations should be made with your original booking agent who may charge an additional fee. When purchasing a Stray product you are agreeing to Stray’s terms and conditions. The most up to date version can be viewed on our website.